Hoping to make Transfomers more accessible for children, Hasbro will be simplifying the toys in the future. When I was a kid the original Transformers was already a thing of the past. That being the case, I did grow up in the glorious prime of Beast Wars, its animal-themed, time-travelling sequel which, in a word, was awesome. Granted, the show's CGI visuals haven't aged particularly well since the mid-90s, but the toys remain fantastic if a bit complicated at times. 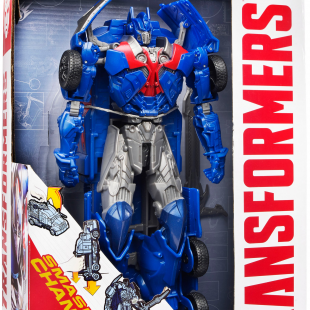 I can only assume the complicated part has gotten worse over the years because Hasbro, the toy company behind the Transformers line has recently revealed that it intends to take the property back to basics with the release of its next toy line. According to Brian D. Goldner, the company chief executive, new Transformers will be vastly simpler to play with than the "1,000-piece puzzles" that have become the norm in recent years. Consumers can expect the new toys, in turn, to allow near effortless transformations that the company believes will be more appealing to children. It won't just be the toys themselves changing either. The Transformers brand as a whole is being simplified so that going forward all toys falling under its umbrella will branded with a single uniform logo. 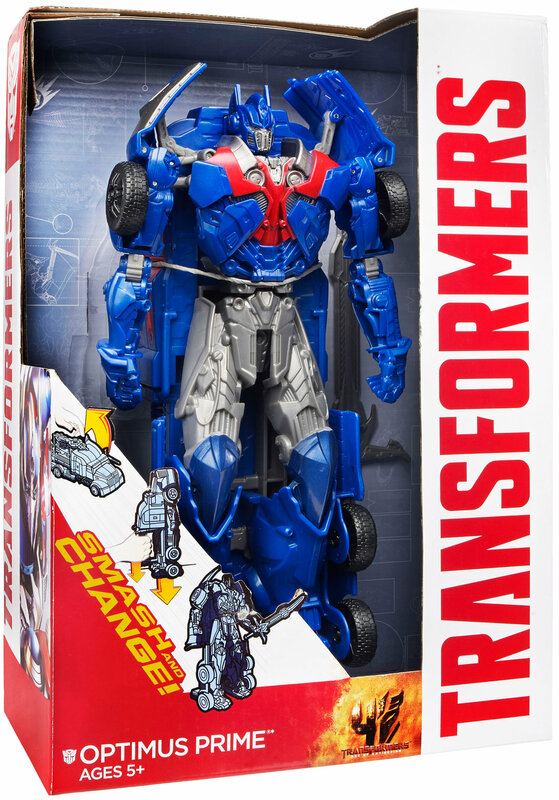 This new line of toys will launch to retailers in May, just a few weeks before the release of the next Transformers film: Age of Extinction. Retailers are, not surprisingly, looking forward to the launch. "Our retail partners, they are getting very excited," said Joshua Lamb, senior design director for the Transformers line. "This rethinking of the brand is setting the stage long-term." All of this said, I, am honestly a bit saddened by this development. While my fandom of the wider Transformers universe is admittedly a bit limited, I have some very fond memories attached to the sometimes lengthy process of figuring out just exactly how my Transformers worked. There was a satisfaction to finally getting it right that I fear more accessible toys are doomed to lack. What do you think? Are simpler Transfomers toys a step back, or is the brand simply revisiting its simpler roots to draw in a whole new generation of fans?